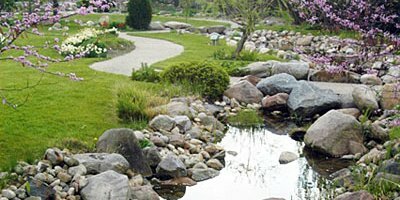 The Warsaw Biblical Gardens are a rare oasis, rich in beauty and tranquility, and are accessible for persons of all ages and of all faiths. Our one hour tour follows a meandering garden path and provides botanical information along with Scriptural references and Bible stories about our plants. Tour passes through six micro-climates which represent the main environments of which the Bible speaks – the Meadow, the Orchard, the Forest, the Desert, the Wet and Dry Brook, and the Crop area. Guided tours available May 15 to September 15. Individual walk-throughs March through October at no cost.